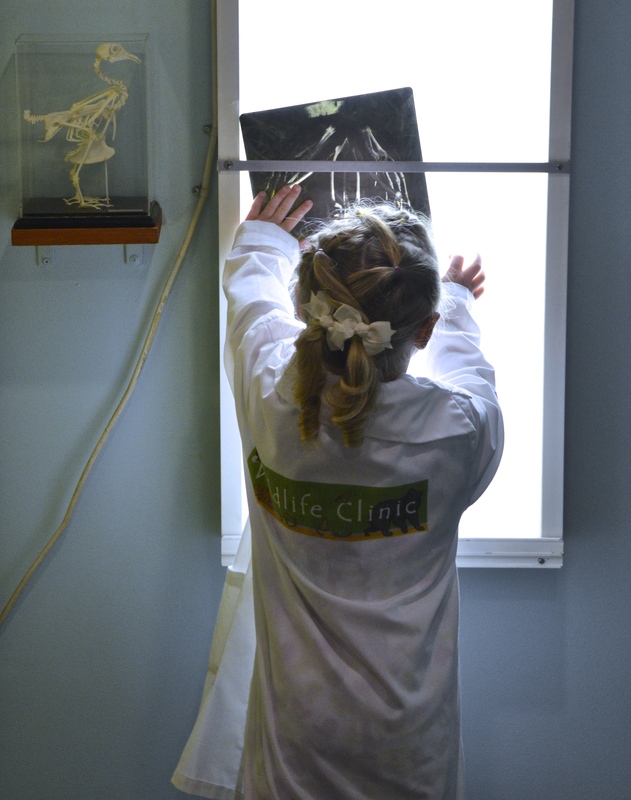 The Wildlife Clinic features 16 animal crates where furry puppet friends await an examination, grooming or snuggle from a vet. Study real x-rays and listen for heartbeats with a stethoscope as you learn about caring for a sick or injured pet or wild animal. 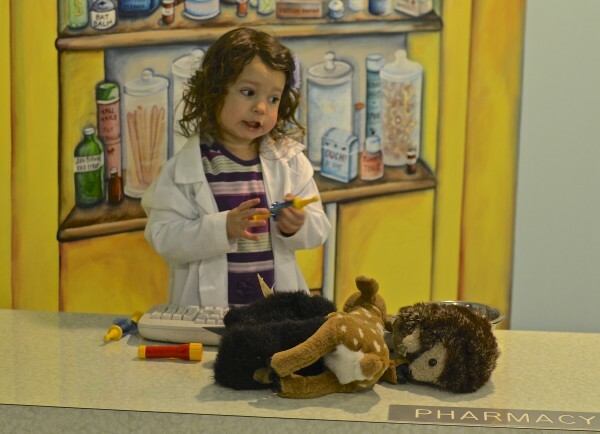 After the diagnosis, a stop for medicine in the pharmacy will ensure each plush pal is on the mend. Power of Play: When children learn to be kind to animals they learn compassion, respect and empathy. Real examination tools like an x-ray light box and microscope introduce the medicine field. Playful Tip: Feeling super silly? 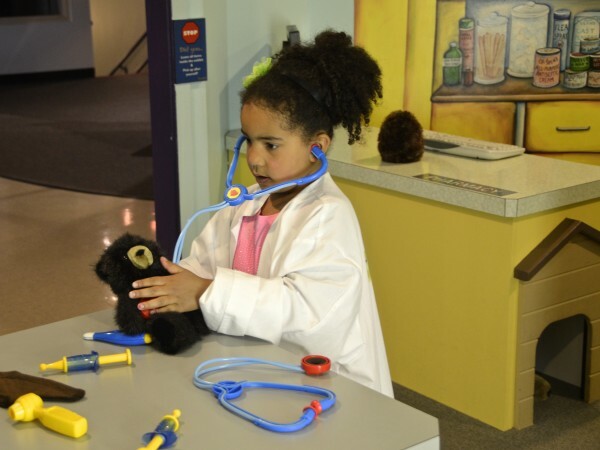 Switch roles, put on a lab coat and have your child come in to pick up a patient as you play vet!